The conversation was initially about MSI but as we chatted in real time, like many good conversations it began to wander off & spread into new topics. One of the topics she brought up was that she loved my personal blog “Adventures in Living Terminally Optimistic”. Rita enjoyed the unique mixture of a hopeful viewpoint of a Stage IV patient coupled with interesting scientific information. She had already sent links to it to a friend of hers in Russia who was dealing with the same Erbitux (cetuximab) side effects I was. Sometimes you just click with people immediately. Literally on opposite sides of the world, Rita and I clicked. I mentioned in passing to Rita that an oncology scientist colleague of mine, Anna, had recently come up with the idea to translate my blog into Russian to bring it’s messages to the Russian cancer community. Anna had moved to America from Russia as a child. Rita was thrilled by the idea and immediately offered to help us out “on our project” because she had English-Russian translation experience. Even though Rita offered to help Anna & I out on “our project”, truth be told – “the project” didn’t exist. At that point, its existence was in a quasi-quantum state of uncertainty somewhere between existence and imagination – Anna & I had had only a brief conversation about the possibility of a Russian site! When I received that message – from a train approaching Voronezh in central Russia as I ate my morning oatmeal – the quantum fuzziness of a first international language version of my blog unexpectedly coalesced into something tangible and real. It was at that moment that «Приключения безнадежного оптимиста» (“Adventures in Living Terminally Optimistic”) was born. I immediately told Anna about the new offer of translation help and her excitement level for the project also began to skyrocket. I quickly set up 3-way emails bringing Rita, Anna & I together and we began to plot how to set up a foreign language blog site. It was truly a grass-roots effort – none of us had any idea what we were doing, having never done anything like this before! We slowly began to make group decisions and figure out how to go about the project – the fact that none of us had a clue of what we were doing made it a truly democratic brainstorming project. The 3 of us immediately became friends and comrades in arms as we all strongly believed in this project. The Russian-American Scientist: Why did Anna believe in this project? Not too many options were available back then, but now the treatment landscape has changed and continues to evolve with tremendous speed, with amazing treatments prolonging lives without the severe toxicities of the past… Education of patients, caregivers, doctors is critical, hope and optimism is a huge bonus… My sincerest hope is that the translations help share Tom’s amazing message with others facing the challenges that come with being a patient or a caregiver and that it helps them find some extra hope and inspiration. The Russian Caregiver: Why did Rita believe in this project? Similar to Anna, I asked Rita why this project was important to her. In her own words: To be diagnosed with any cancer is shocking – regardless of the stage and type. There is some kind of a stigma associated with having cancer in Russia – some people still think cancer is contagious, seriously. Public perceives cancer as a death sentence. Besides, it is common to hear a doctor replying to any health complaint from a cancer patient: “You have/had cancer, your life will never be normal again, what do you want now?” Not very encouraging. Of course, you start searching for any info like crazy in the Internet, and here I had the advantage of being a translator from English into Russian – I could Google in English and get access to loads of useful and relevant information. I found Colon Talk then, and there was and still is nothing comparable to this website in Russia. From what I knew, stage IV patients in Russia were offered palliative treatment only, but there I saw quite many stage IV CRC survivors living their life to the fullest. I learned about the importance of second (and third, etc.) 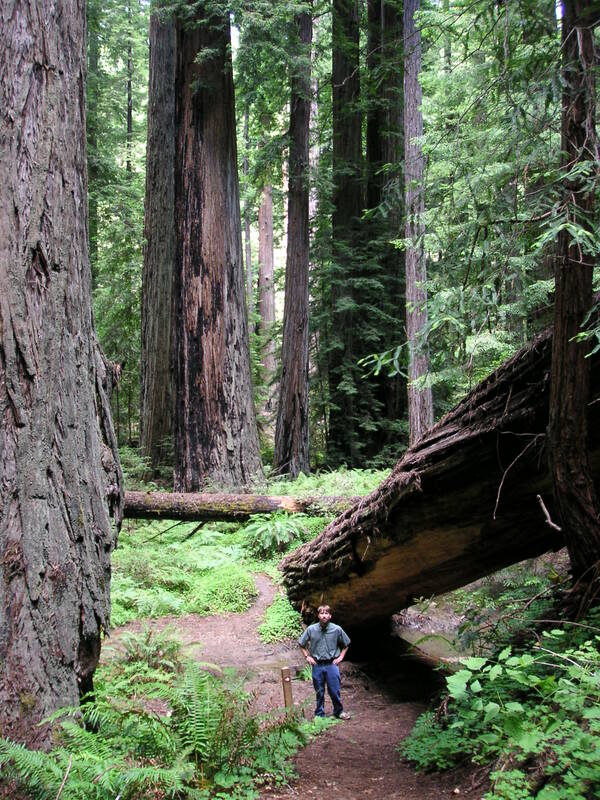 opinion and saw with my own eyes that life could be normal during and after diagnosis. Yes, it will probably be a new normal. Or sometimes even a better normal. When I met Tom on the forum (I sent him a personal message with a scientific question, as he is the forum’s recognized scientific expert), I already knew this person was special. Despite his health issues, he works, he has a beautiful family with two lovely daughters, he advocates for cancer patients’ rights, he runs half-marathons, he explains cancer science for everyone to understand, and I am sure there is more to mention! I had no doubt that Russian patients had to meet Tom to admire his optimism, as I do. My family experience with CRC made it relatively easy to translate the posts in Russian. I hope Russian patients, caregivers and even doctors will find Tom’s blog useful and encouraging and learn from him how to live life under any circumstances. Why did I believe in this project? There is a huge need for messages of Hope and scientific information in the American cancer survivor community – I witness that every day – 7 days a week, 52 weeks a year. Between being written in English & my relatively modest goals in the beginning, Americans were the primary target audience of my blog when it first started – that quickly changed! The multiple online communities I belong to have international membership and (no surprise!) the needs for Hope and information are also international. As my blog international readership has grown – I have noticed that there are a few LARGE outlier countries where I have low readership. It really stood out to me that I could have 50x more hits from comparatively small countries like The Netherlands or Argentina than I do from huge population countries like Russia, China, Japan and India. I suspected that the issue is that because of the different alphabets used there, their big search engines are not efficiently indexing my blog – and it is via internet searches for variations of Colon cancer hope that I know new readers are brought to my site. I saw a real need to fix this issue and Russia would be the first attempt. October 18, 2015. It was mid-morning California time – evening in Russia. I was eating breakfast and an email arrived from Rita. (Sound familiar? 🙂 ) She had uploaded a link to our newly live Russian website onto the Russian oncology message board forum “Oncobudni”. I immediately checked the blog statistics. It was already clear that something very special and unexpected was happening. Within only 5 minutes of upload, our new blog had already gotten 37 hits from about 7 countries. By the end of the day it had received >1,500 hits from 35 countries on 6 continents (sorry, no Antarctica!). I was honestly floored. My English site has never had 1,500 hits in a single day; it took it a few months to reach 35 countries. Our little experiment in a Russian website did both of those things in <24 hours! I was transfixed watching the site traffic analytics over the course of the day – I could see the viewership go viral from East to West as it presumably flowed through tight-knit historical Russian immigration routes. I was speechless – not only was there an unfulfilled interest for this kind of message written in Russian but it was beyond all expectations. Due to many Russians being bilingual, some of the Russian site viewership has now come here to my English site to read posts and now my English site has Russia as the second highest readership country after America. One aspect of this experience is that I think it perfectly captures in a microcosm a major goal of my blog: bringing together the different groups of the cancer world that despite their interconnectedness via the disease, do not interact with each other as much as they should. Rita is a Russian caregiver to a CRC survivor, a member of the international cancer patient world; Anna is a Russian-American oncology scientist, a member of the international cancer scientist world; I am an American cancer survivor/scientist. It is amazing what our “experience triangle” covered! As a caregiver, Rita was a bridge to the Russian Survivor world; Anna was a bridge between international communities; I was a bridge between the survivor & scientist worlds. When you combine those levels of bridges – amazing things can happen. As my blog’s viewership has grown, it has steadily spread world-wide and the English version now has had readership in >65 countries. I’ve said it before and I’ll say it again. Cancer does not recognize political boundaries and neither should our response to it. The experience with the Russian version of my blog has been both exhilarating in the feeling of bringing Hope and science to so many people living in another culture who have been impacted by cancer – as well as heartening & intimidating to see how much need is out there in the non-English speaking world. For that reason – the same day I saw the Russian viewership numbers explode – I made a firm decision that additional foreign language sites would have to be done. Luckily the experiment of Rita, Anna & I coming together to develop the Russian site has figured out how to do it! Along those lines – I’m excited to announce that a small army of 10 Chinese colleagues are currently translating my blog into Chinese and I plan to have a CHINESE SITE up & running in November! Since many people read my posts “in the future”, here is the link to the Chinese site (currently still under construction). China has MANY cancer survivors and caregivers/family members in need. 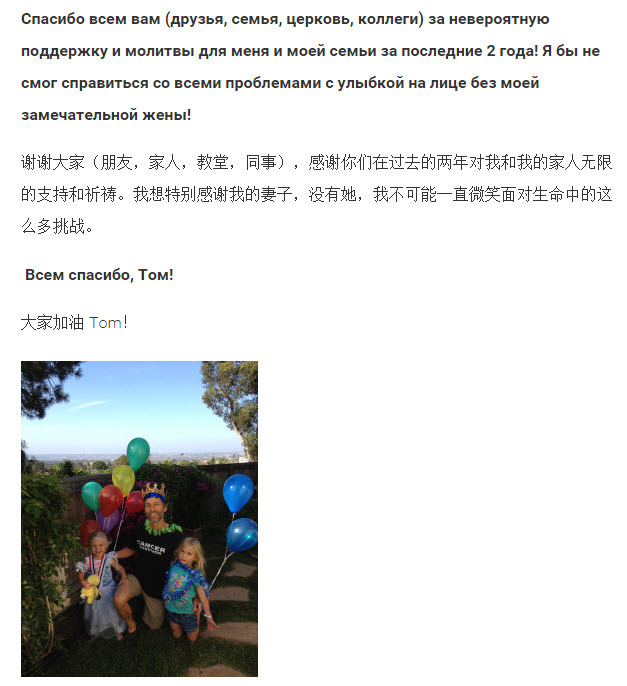 I love the fact that the Russian translation of my post “It’s a Small World” which includes my Stage IV announcement letter written to family & friends – originally in English only, then translated to alternate between English and Chinese – now alternates between Russian and Chinese in the newest translation! When my Stage IV family announcement letter was translated into Chinese last year, its message of Hope went viral and was read by >1 Million people impacted by cancer in China. I am beyond excited thinking about the help my Blog can potentially bring to them – although to be honest, even if I only help one person impacted by cancer (American, Russian, Chinese, etc. it doesn’t matter to me) – that makes all the work worth it. Wow!!!! I am amazed at how individual miracles have been woven together, across continents, to allow these wonderful cancer resources to be available to so many who need hope, encouragement, and current cancer research information. You are definitely being used, Tom, to touch the lives of so many people. Thank you for being willing to share your own personal story and reaching out to so many people who need complex medical information explained simply, as you are able to do! This is an amazing gift to many people around the world who need encouragement and information in their journeys. Your writings are such an uplift to those who need it most. As a former nurse I find these articles not just scientific in nature, but touching the human heart in a profound way, keep up the great work! !